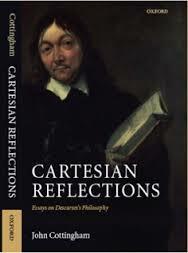 Cartesian Philosophy research papers discuss the philosophical concepts by French philosopher Rene Descartes. French philosopher Rene Descartes (1596-1650) is considered to be the founder of Cartesian philosophy. Descartes is widely held to be the first thinker to apply reason in the development of natural science, who viewed all philosophy as encompassing all knowledge. Under Cartesian philosophy, the mind is entirely separate from the body. The only real truth that one can be aware of comes from the mind. This is the foundation for Descartes’ most famous axiom: Cogito ergo sum, “I think, therefore I exist.” For Cartesian philosophers, there are three areas of existence: matter, the world inhabited by the physical body, the existence of the mind, and the existence of God. Cartesian philosophy stands in direct opposition to empiricism, the school of philosophy that originated with Aristotle, but was later expounded by David Hume and others. Cartesians, however, maintained that sensory experiences could be fallible. This led to the understanding that science could remain uncertain, since God could make falsehoods appear to be truth. In the Meditations, published in 1641, Descartes argued that because human intellect is finite, one could not originate the idea of the infinite. Yet because we have the idea of an infinite God, Descartes argued that God caused man to have that idea. Rene Descartes' Theory of the Mind - This essay explores Rene Descartes' theory of the mind. It examines the theory and its relation to the body. Descartes and Material Substance research papers report on Descartes' view of the body and mind in his Meditations. Modern Philosophy research papers on the introduction of modern philosophy, by Rene Descartes, that began in the 17th Century and lasted until the 20th Century. Essays, Moral and Political research papers examine the two volume work by philosopher David Hume that combined his earlier work with his essays Four Dissertations. Paper Masters writes custom research papers on Cartesian Philosophy and discuss the philosophical concepts by French philosopher Rene Descartes.